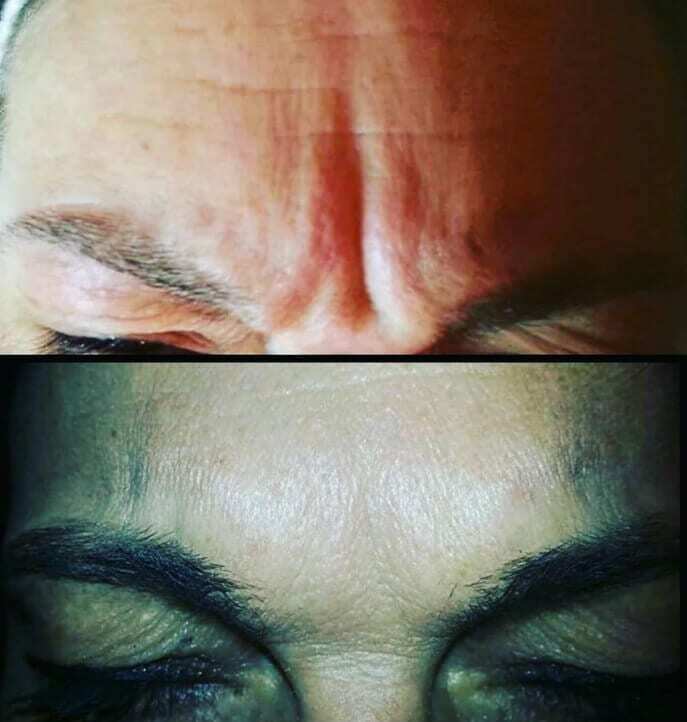 Wrinkle, or muscle, relaxing injections (also commonly known as botox injections) is a very common cosmetic treatment which became a part of our beauty regime and it is no longer viewed as something abnormal or dramatic. 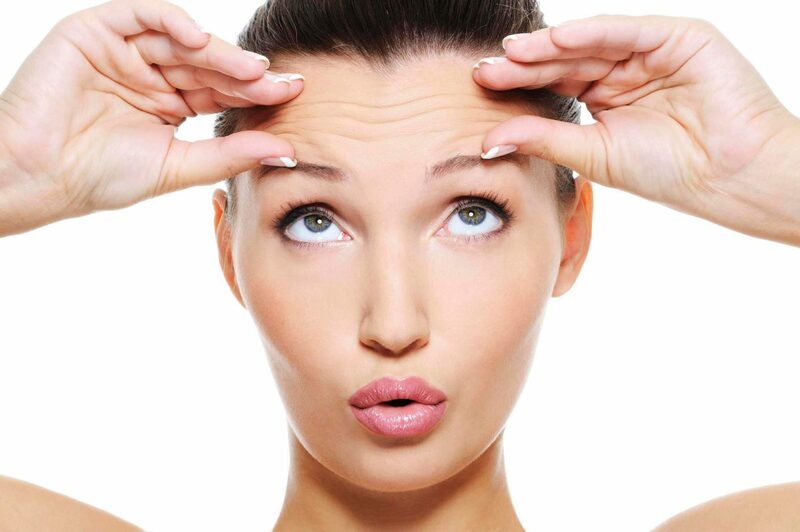 We use carefully and proven Azzalure injections from the botox family of wrinkle relaxing treatments. There is no need for completely frozen face look, at our Cheltenham clinic we deliver natural looking appearance that will deliver the results and not look like “had a botox treatment“. Every client must have a consultation with our doctor prior to the treatment in order to establish suitability and that we are confident you will benefit and be pleased with any treatment we provide. All prices includes initial consultation with a doctor. 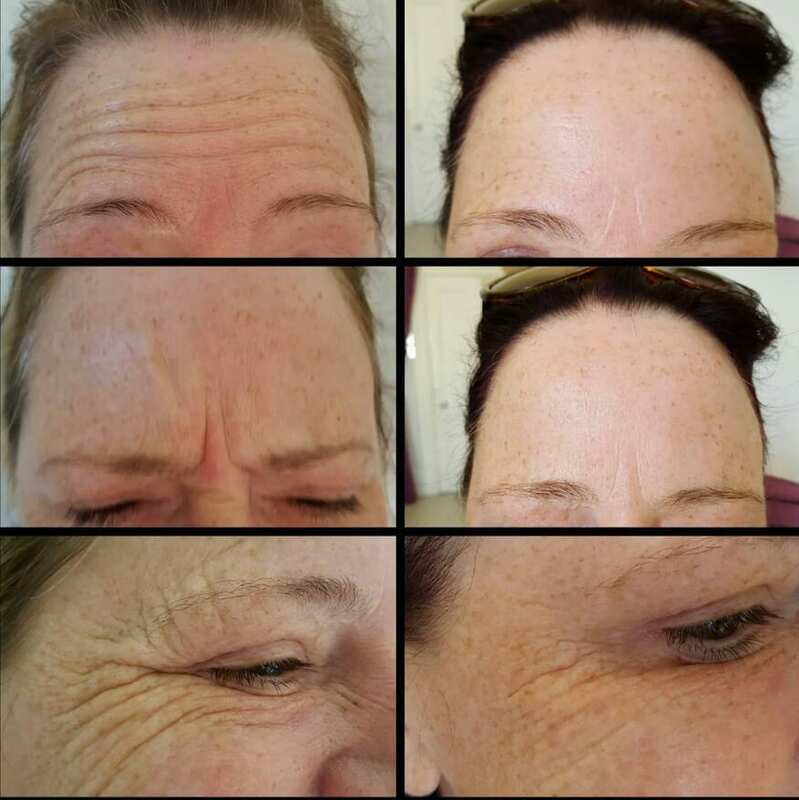 Here are some Botox / Wrinkle Relaxing Injection based facts! The scientific name for Botox is Botulinum toxin. One gram of Botulinum toxin can be used to make a whole year’s supply of Botox. Botulinum toxin is available under four product formulations: Botox, Vistabel, Azzalure, and Bocouture. All formulations are generated from the same bacteria, Botox is the strongest and most recognisable. Many people are not aware what they’re actually having injected. Whilst Botox comes with a red or purple top, Azzalure and Bocouture have blue tops. You can also tell them apart as Botox has a hologram and is kept in a fridge. Botox has been used more than 2 million times in the EU and has become the household name for wrinkle relaxation injections. Strabismus (crossed eyes) can be a challenging condition to fix, but Botox is one of a few very effective ways at realigning one’s vision. Botox substances can also used to treat excessive sweating, chronic migraine, cerebral palsy, incontinence, squinting, rapid blinking, an overactive bladder and muscle spasms. Taken from an article on botox patients and 15 interesting botox facts.